you are beyond awesome!! i LOVE your photography. wish we lived close so you could snap some of my boys. I just got a big fatty camera (do you love how much i know about it by just the name?). I am excited but a bit overwhelmed by all it can do. I wanna learn-what should i do? take a class or just read up from your side bar? hope all is well with you and congrats on your #4 bun! Natalie, I am so excited for you! Your work is beautiful and the world needs to know! Congrats! 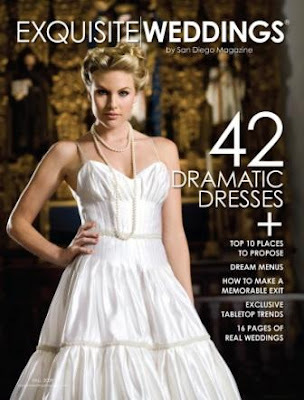 I clicked on over to the magazine and looked for Jessica and Hunter's wedding. BEAUTIFUL shots, all of them. This is a well deserved honor Natalie. so fabulous. I can't wait to see all the cool pictures you took!! wahoo. You're FAMOUS! I think Natalie Norton is AMAZING! Well-deserved recognition. You absolutely deserve this! great work! I just hope you could come to the Philippines and conduct a workshop. I would definitely be the first to sign-up! Fantastic news -- congratulations, well deserved! Well that's no surprise with talent such as yours!!! Congratulations! Congrats babe! That is so awesome! All your weddings deserve to be published! I love your work. It's wonderful when your dreams come true. You go girl.